Yup. It’s true. The Brake Magazine Crew are going to world’s toughest event and we’re gonna film from now until the end, bringing you the entire journey all the way to the finish line of Dakar 2020. Undoubtedly you’ve got questions. We’ve got questions too. First on the list will probably be, “Why 2020?”. The main reason is the qualification. 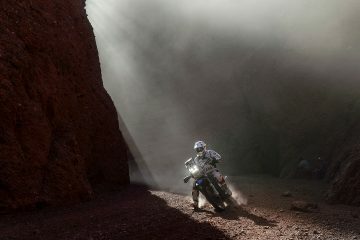 Once upon a time the Dakar was pay and play. If you had the wonga you could attack it and see what you were made of. And then it changed. The organisers started making riders submit CV’s to find out if you’re good enough to be safe and make it to the end of the race. So that puts limits on the timescale. 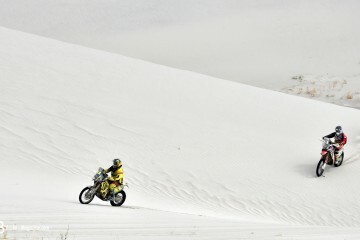 We need to qualify, which means heading to ASO’s other event, Merzouga Rally. Other than this, we can’t help with answers to questions because we simply don’t have them. We do however have cameras and that means we’re gonna film everything. We’ll have regular Vlog’s as we work toward making our dreaming of racing Dakar a reality. We’ll cover everything we go through; the training, the racing, the navigating, bike building, working on sponsorship, the assistance crew side, all the way through the race and over the finish podium, where it may be. So let us know down below, what do you want to see? What do you want us to film? What bikes should we ride? And, thanks for watching, thanks for reading our magazine and thanks for being an awesome audience.